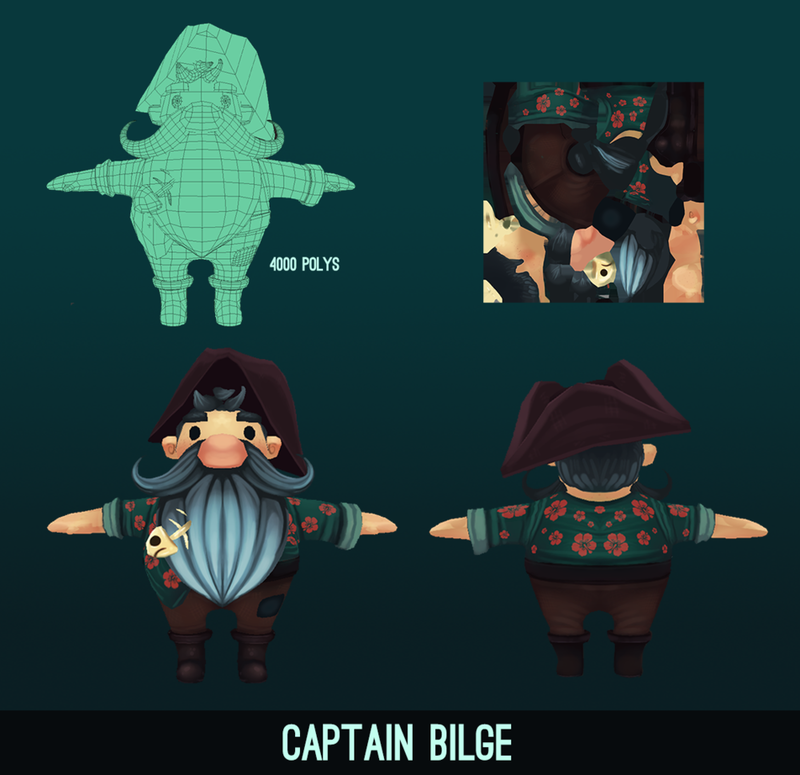 Deep Blue Boogaloo is an action wave-defense game where players defend their ship from being capsized by hordes of pirate creatures. 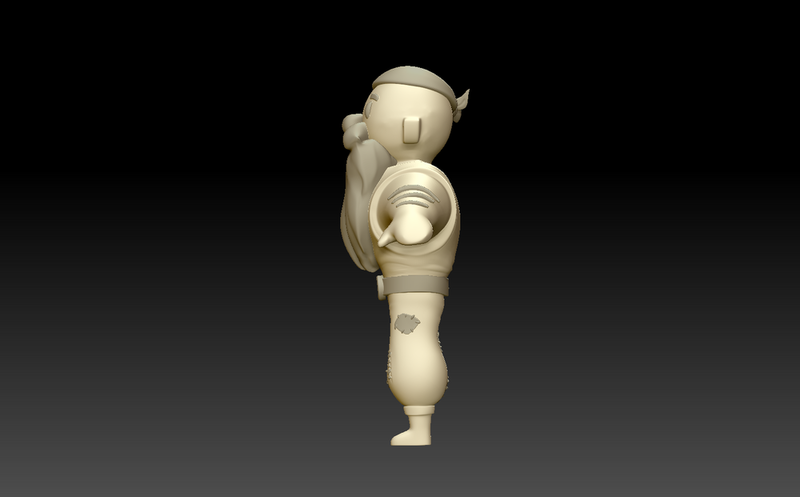 I am the art director and character artist on this project. The following images do not depict final gameplay and only serve to show how the art is progressing. To the right is a carousel featuring some of the character model turnarounds. 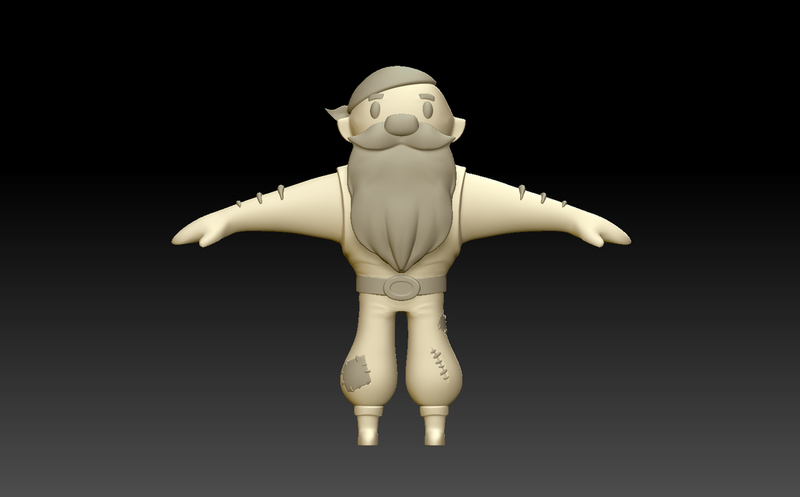 I was responsible for all characters from interpreting concept to lowpoly and highpoly modeling, retopology for animation, and textures. At the end, you can also see some of my concept/silhouette work for creating the enemy creatures, and how those ideas were translated to 3D. 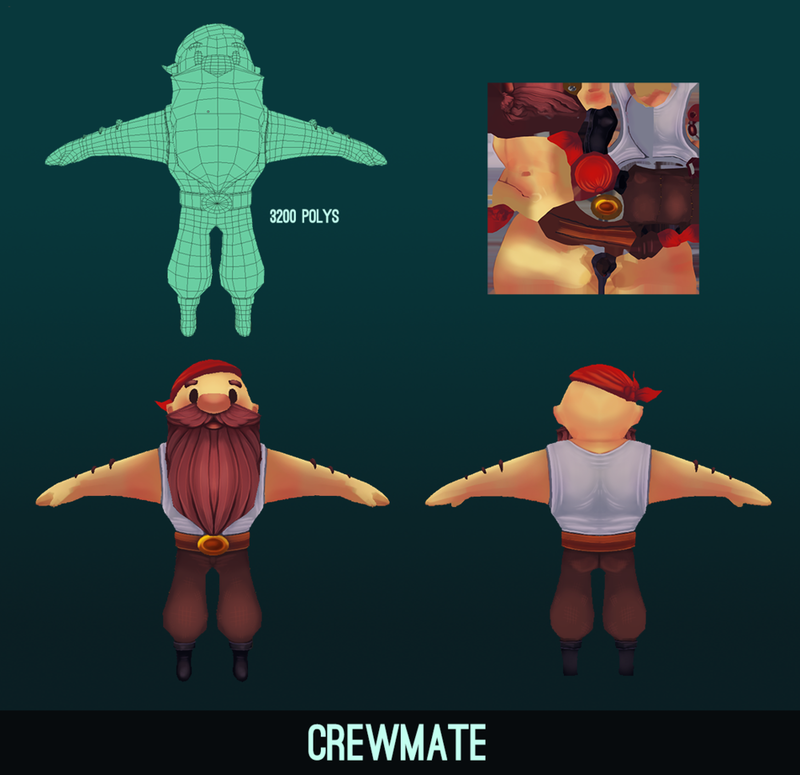 These characters needed to read well from the in-game camera distance + angle, so they needed to have distinct silhouettes and sizes, and visual contrast between both the player and the ship deck. 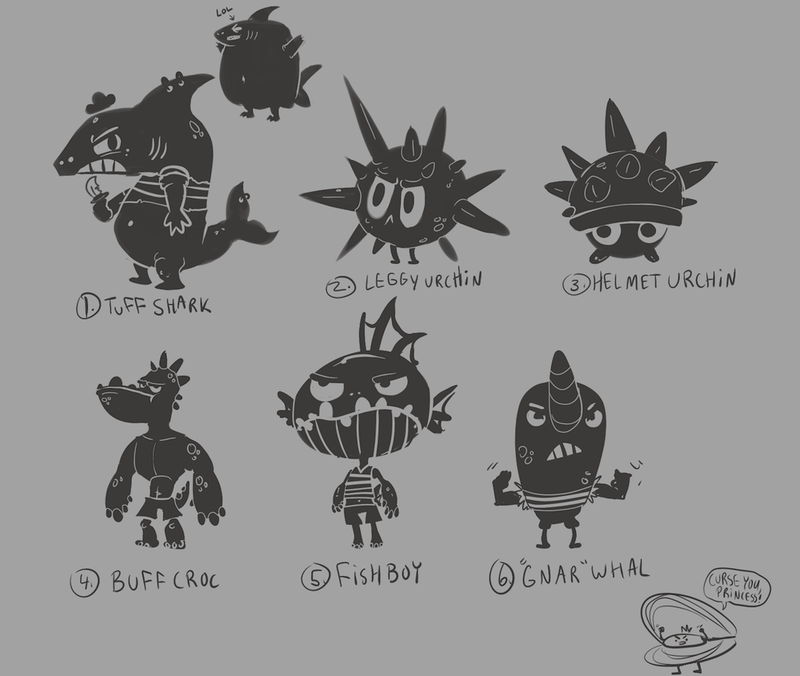 I picked the character designs that had the most distinctive top-down features (red bandanna for the player, the colorful urchin "helmet", the big narwhal tusk + blowhole). Style-wise I combined oldschool Spyro the Dragon enemies with Spongebob Squarepants character designs, hoping to create "goony," yet cute and endearing enemies with a pirate/sailor flair. 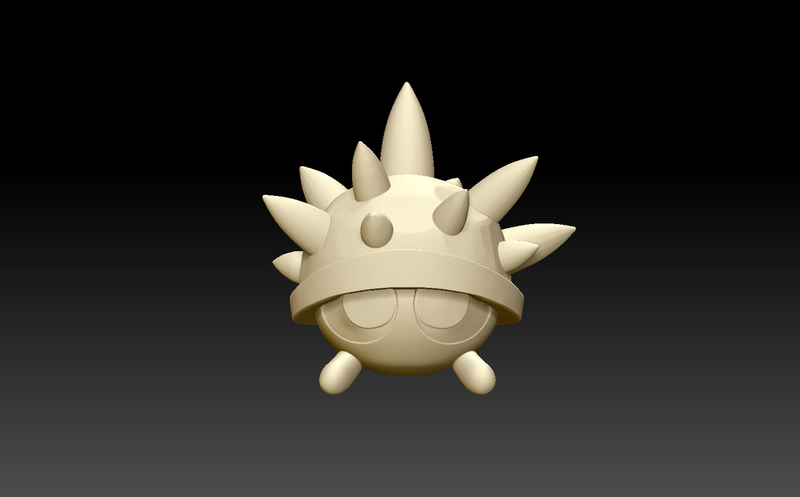 The urchins are the most plentiful enemy in Deep Blue Boogaloo, so lots of iteration went into how the shells would be textured. In the end, I decided the two-color scheme like the two in the middle of the above image, with the urchins randomly spawning in a color range between teal and purple. As the art director I created and maintained the art bible for this project, some of the slides can be seen in the carousel on the left. 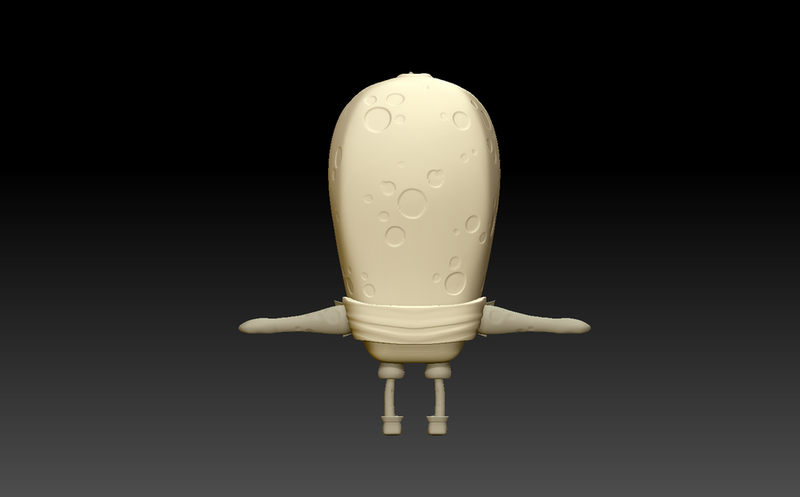 Since we went with a very stylized, handpainted aesthetic, I did my best to provide resources for the other artists that would quickly and effectively get them started confidently modelling and especially painting textures. One problem I ran into was that while the other artists had done stylized work in the past, they weren't as experienced painting textures from the ground up. I couldn't teach them how to paint in the 2 weeks we had for pre-production, so I supplied step-by-step material painting guides, demos, brush settings, color palettes and adobe swatches, color mixing examples, plenty of moodboards, and essentially anything that would simplify the art pipeline and ensure cohesive results.